Ken Barun, the nation's leading fighter against drug abuse, tells you everything you need to know to guide your children safely through their drug susceptible years of 8 to 20. Addresses the concerns and fears of parents with a hard, tough, workable plan of action. New American Library. About Karen Barun (Author) : Karen Barun is a published author. 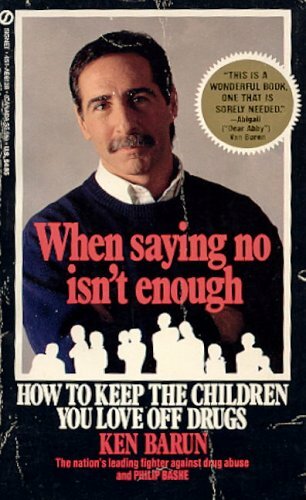 A published credit of Karen Barun is When Saying No Isn't Enough: How to Keep the Children You Love off Drugs. About Philip Bashe (Author) : Philip Bashe is a published author. 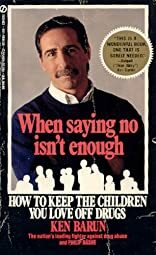 Published credits of Philip Bashe include When Saying No Isn't Enough: How to Keep the Children You Love off Drugs and Dee Snider's Teenage Survival Guide.